ITEQ works in accordance with the Smart Industry principle. This means our production involves customisation, high quality and precision. In this approach when it comes to quality, we strive for Zero Defect. We not only achieve this through hard work, but primarily by doing things smartly. Fortunately, this is part of our DNA! Speed and flexibility are the fundamental principles of Smart Industry. Whether it concerns ever-changing customer demands, increasing flexibility, shorter and shorter life cycles, many innovations or revisions and the fast pace of new developments. All this requires effective management of the factory. ITEQ is aligned with the strategic developments of ‘Industry 4.0’. Small series and single pieces are characteristics of our customers of tomorrow. How do we approach your customer order? 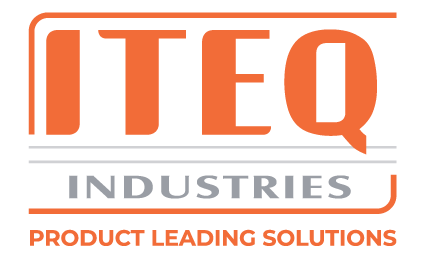 The order to design and engineer a product is received by ITEQ Engineering. We design and draw the products in the SolidWorks program. We save the files in a digital safe (PDM system). If this leads to a production assignment the SolidWorks files are imported into our ERP package as work instructions. These work instructions form the basis for our planning, purchasing, processing and outsourced work. We use our Amada CAD CAM software to automatically generate the cutting and setting files. The planning also steers our FMS system. The order picker receives digital instructions and ensures the necessary materials are gathered together. Once production is ready a packing slip, invoice and pre and post-calculation are automatically issued. If required, the post-calculated time is corrected for the CNC cutting and punching times.